KETO//OS® (Ketone Operating System) is a revolutionary drink mix based on a proprietary ketone energy technology. It delivers advanced macro nutritionals and promotes optimized cellular regeneration, energy and longevity. OTG: These single serving packets are easy to carry with you and drink anywhere. One-time order with no ongoing product delivery. This option will setup convenient, ongoing delivery every month, starting 30 days from today. This will qualify you to receive an ongoing 22% discount (for applicable products) on your Smartship order. Your credit card will only be charged when your order ships and you may opt out of the program at any time. This option will place an order TODAY for your selected product, PLUS it will setup a Smartship to deliver the product every 30 days thereafter. 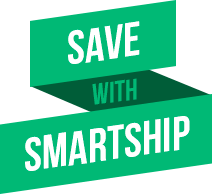 Setup a Smartship order to automatically get your chosen product supply every 30 days. This will qualify you to receive an ongoing 22% discount (for applicable products) on your Smartship order. Look for the Smartship option under ‘How often’ when adding products to your cart. * Percent Daily Value based on a 2,000 calorie diet. OTHER INGREDIENTS: ERYTHRITOL, CITRIC ACID, NATURAL FLAVOR, REBAUDIOSIDE A (STEVIA EXTRACT), CAFFEINE, VEGETABLE JUICE COLOR, XANTHAN GUM, BETA CAROTENE. ‡ Caffeine equivalent to a 16oz cup of coffee. STORAGE: No refrigeration required. Keep at room temperature and away from direct sunlight. §Must be consumed with SIGNAL//OS™ for DNA repair and other therapeutic benefits associated with C-Med 100®. This product is not a medical treatment, medicine, or weightloss supplement. C-Med 100® is a Registered Trademark of Optigenex Inc. Protected by U.S. Patent Nos: 6,964,784; 7,579,023; 7,595,064; 7,955,626; 7,947,312; 8,372,449; And 8,372,448. You should consult your physician before taking any dietary supplements especially you have a pre-existing medical condition, are nursing or pregnant. Please consult your physician for concerns regarding the safety of any dietary supplements for children under the age of 18. OTHER INGREDIENTS: ERYTHRITOL, CITRIC ACID, NATURAL FLAVOR, REBAUDIOSIDE A (STEVIA EXTRACT),VEGETABLE JUICE COLOR, XANTHAN GUM, BETA CAROTENE. Why would I take KETO//OS®? Although our KETO//OS® 2.1 Orange Dream version is not vegan....our 3.0 Chocolate Swirl and Max Maui Punch are vegan! What are BHB Salts and where do they come from? BHB is found in nature in many foods including eggs and milk. Salts are acids and bases bound by ionic bonds. Salt is a chemistry term used to describe a specific type of chemical compound. Technically, they are defined as ionic compounds formed by the neutralization of an acid and a base. They consist of positively charged and negatively charged components, which typically dissociate in water or water-based solutions (such as blood). In lay terminology, we call table salt, which is actually sodium chloride (NaCl) “salt,” but it is just one of many chemical compounds which are defined as salts. The “BHB salt” is simply a compound that consists of sodium (Na+), potassium (K+), and the ketone body β-hydroxybutyrate. In the Keto OS product package, these individual components are being held together by ionic bonds; however, when you eat the product, it is absorbed into the blood where it dissociates into free Na+, K+, and BHB since it is a water-based solution. Thus, consuming the product directly and immediately puts ketones into your blood. What kind of diet should I follow when I’m taking KETO//OS®? No we have a small amount of dairy around 3grams that we use to plate the MCT powder in our 2.1 Orange Dream version of KETO//OS®. What Is The Source of Caffeine? What’s the difference between taking KETO//OS® and taking raspberry ketones? There is a significant difference between KETO//OS® and raspberry ketones. The name for Raspberry ketones is quite misleading, as this is not a ketone supplement and is not related in any way to ketones, the ketogenic diet or nutritional ketosis. Raspberry ketones are natural substances that give raspberries their sweet scent and flavor, and to a lesser degree blackberries, cranberries and kiwis. The current raspberry ketone supplements on the market are generally synthetically made, as natural raspberry ketones are extremely expensive. They have been promoted as the next best thing on the weight loss market, however research does not support it for this use.